Salman Khan and Katrina Kaif starrer film Tiger Zinda Hai has released this Friday on the Christmas weekend, the film is getting a high opening. Well, it was supposed to be as the film has so much to expect on silver screen. 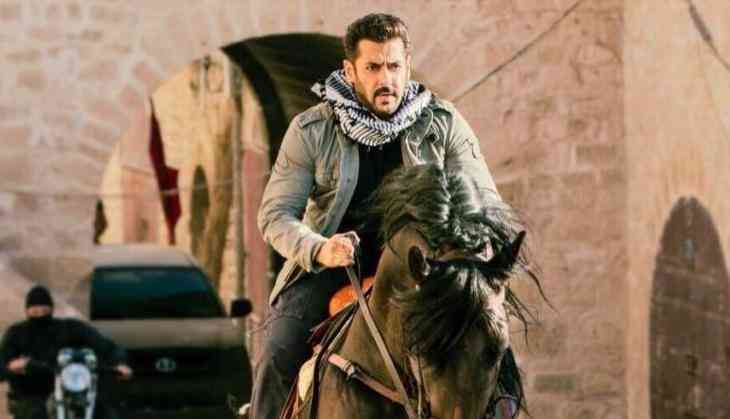 Ali Abbas Zafar has brought the sequel of 2012 released blockbuster film Ek Tha Tiger. Now according to the trade reports, the film has opened so high when it comes to the audience and makers can expect 40 crores opening on Friday release. The film has got 70-80 percent opening audience in the theatres. Finally... Packed morning shows greet #TigerZindaHai... Boxoffice on 🔥🔥🔥. Trade analyst Taran Adarsh has tweeted, that the film got 5700 screens all over the world. In India, the film has got 4600 screens and 1100 screens in the overseas market. Well looking at the screens then the film will surely have a blast at the box office. The film could turn out as the biggest hit of this year after Baahubali 2. Christmas weekend always has been a grand for the Bollywood film industry and the films that have released on this weekend-always got a bumper opening despite that if it is having clashes. We have a strong example of Bajirao Mastani vs Dilwale. The film has made in the budget of 150 crores including 20 crores in print and promotions. The film will have to earn more than 300 crores to get a blockbuster tag at the box office. Well, this is to notice that Ajay Devgn starring Golmaal Again is the highest grossing film of this year in Bollywood yet.